Hakuo Gakuin is on the verge of closing down due to students transferring to rival school Seishikan after mysterious injuries happening to students who refuse to transfer. 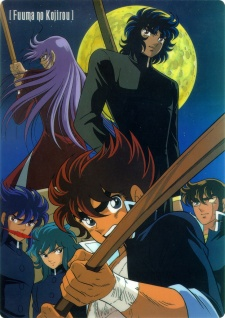 To protect the school and its students they hire Kojiro, a member of the Fuma clan of ninjas. After finding out that Seishikan has enlisted the help of the Yasha ninja clan, who had been rivals with the Fuma for generations, Kojiro gains the help of his fellow Fuma ninjas. Even though they are hired to protect the schools, the two rival clans vow to destroy each other once and for all so that only one clan remains.